This reinforced charge air cooler (Intercooler) is the solution for demanding applications where reliability and performance are requested. 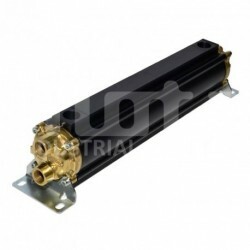 "G" range oil cooler with Ø58mm diametre, 116mm length, cold side connection for Ø52mm hose. 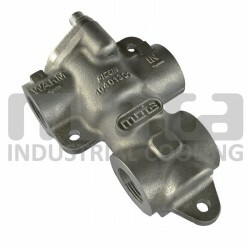 Extruded aluminium housing, Copper-Nickel tubes. 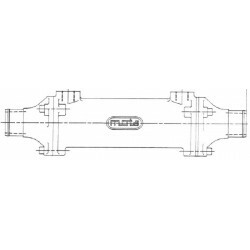 "G" range oil cooler with Ø58mm diametre, 190mm length, cold side connection for Ø52mm hose. 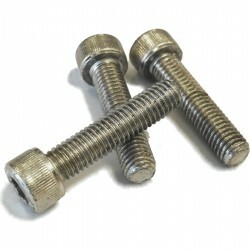 Extruded aluminium housing, Copper-Nickel tubes. 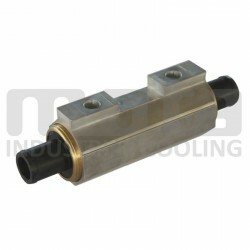 "E" range Oil cooler with Ø65mm diametre, 161mm length and 4 passes on cold side. Standard version, with copper tubes and brass covers. 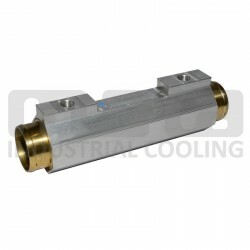 Thermostat start to open 50°C, fully open 60°C Connections G 3/4"
"E" range Oil cooler with Ø65mm diametre, 241mm length and 4 passes on cold side. Standard version, with copper tubes and brass covers. 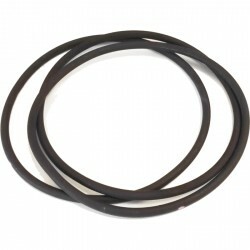 "G" range oil cooler with Ø58mm diametre, 235mm length, cold side connection for Ø52mm hose. 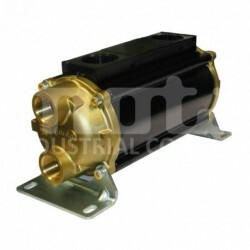 Extruded aluminium housing, Copper-Nickel tubes. 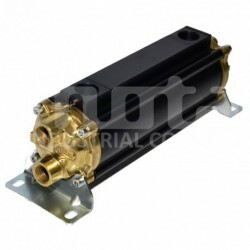 ""E"" range Oil cooler with Ø65mm diametre, 411mm length and 4 passes on hot side. Standard version, with copper tubes and brass covers. 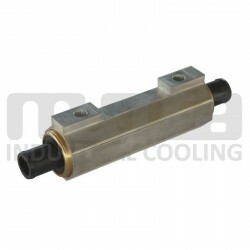 "E" range Oil cooler with Ø83mm diametre, 196mm length and 4 passes on hot side. Standard version, with copper tubes and brass covers. 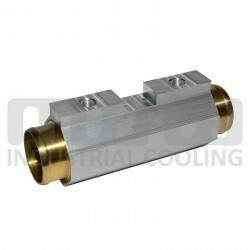 "G" range oil cooler with Ø58mm diametre, 116mm length, cold side connection for Ø32mm hose. 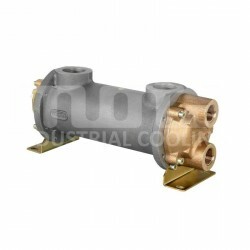 Extruded aluminium housing, Copper-Nickel tubes. 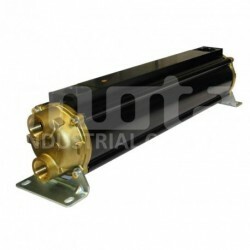 "E" range Oil cooler with Ø83mm diametre, 283mm length and 4 passes on hot side. Standard version, with copper tubes and brass covers. 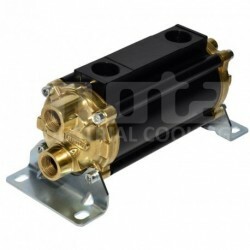 "G" range oil cooler with Ø58mm diametre, 175mm length, cold side connection for Ø32mm hose. 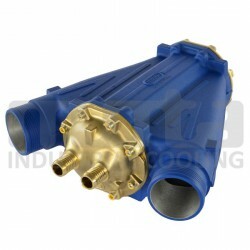 Extruded aluminium housing, Copper-Nickel tubes. 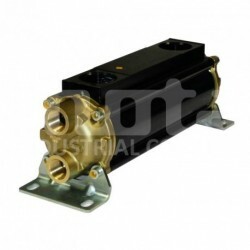 "E" range Oil cooler with Ø83mm diametre, 411mm length and 4 passes on hot side. Standard version, with copper tubes and brass covers. 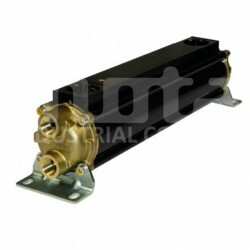 "G" range oil cooler with Ø58mm diametre, 235mm length, cold side connection for Ø32mm hose. 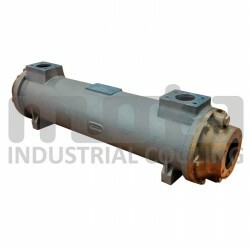 Extruded aluminium housing, Copper-Nickel tubes. 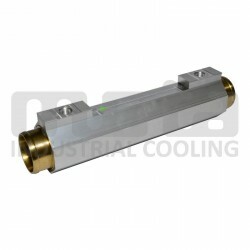 "E" range Oil cooler with Ø110mm diametre, 241mm length and 4 passes on hot side. Standard version, with copper tubes and brass covers. "E" range Oil cooler with Ø110mm diametre, 330mm length and 4 passes on hot side. Standard version, with copper tubes and brass covers. 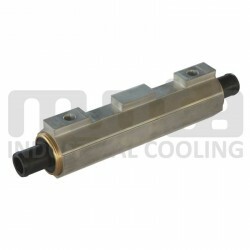 "E" range Oil cooler with Ø110mm diametre, 564mm length and 4 passes on hot side. Standard version, with copper tubes and brass covers.